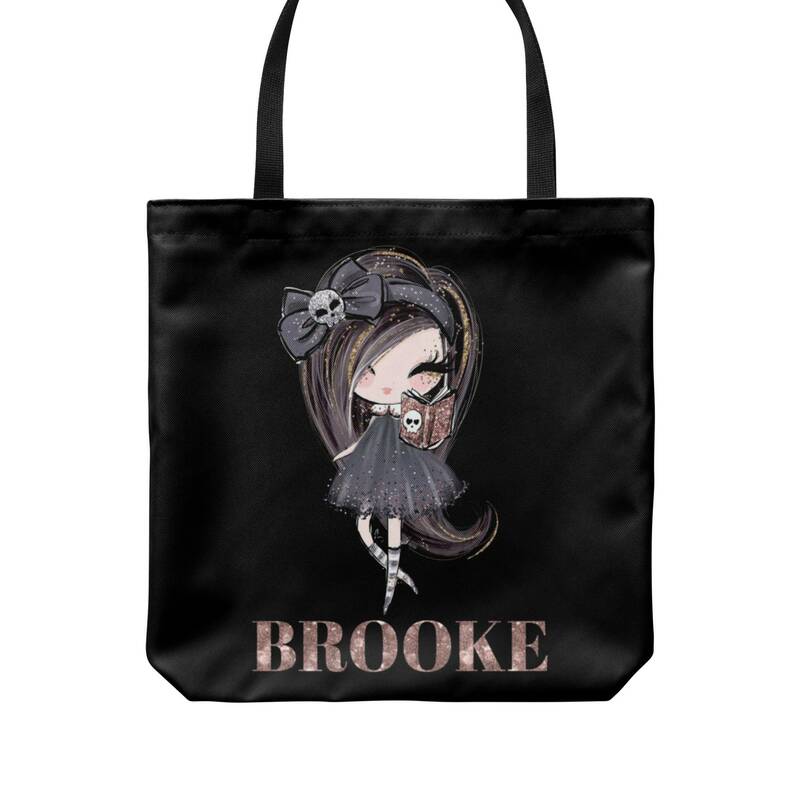 This gorgeous Halloween personalized tote bag is available in 3 sizes. 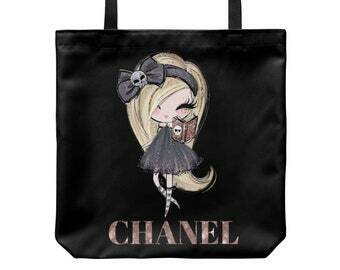 PLEASE LEAVE THE NAME YOU WOULD LIKE ON THE TOTE BAG IN THE NOTE TO SELLER SECTION AT THE CHECKOUT. The all-over print provides comfort with style on the beach or out in town. 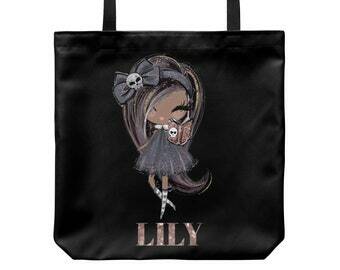 Made from reliable materials this tote will last for seasons. ★ This design does not include real glitter, but rather a quality high-resolution graphic that will look like real glitter. ★ Please note that printed colors may vary slightly from what you see on your computer monitor. Our current turnaround time is 5-7 business days for your order to be made. Shipping time is NOT included in production time & begins once your order has been made. Due to the way we design and print our products (on demand just for you) this product cannot be returned or exchanged. 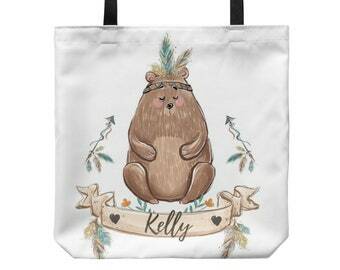 Bear Tote Bag, Personalized Tote Bag, Tote Bag, Personalized Tote, Personalized Bag, Custom Tote Bag, Gift, Book Bag, Bear Shopping Bag.